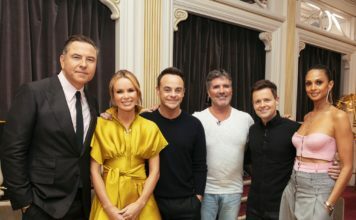 The Britain’s Got Talent judges have now decided on this year’s semi-finalists, here’s the full list. After thousands applied and hundreds auditioned for the judges all around the UK, the lucky few who received three or more yesses have now been whittled down to the final 35 acts, who will be joining the five golden buzzers. 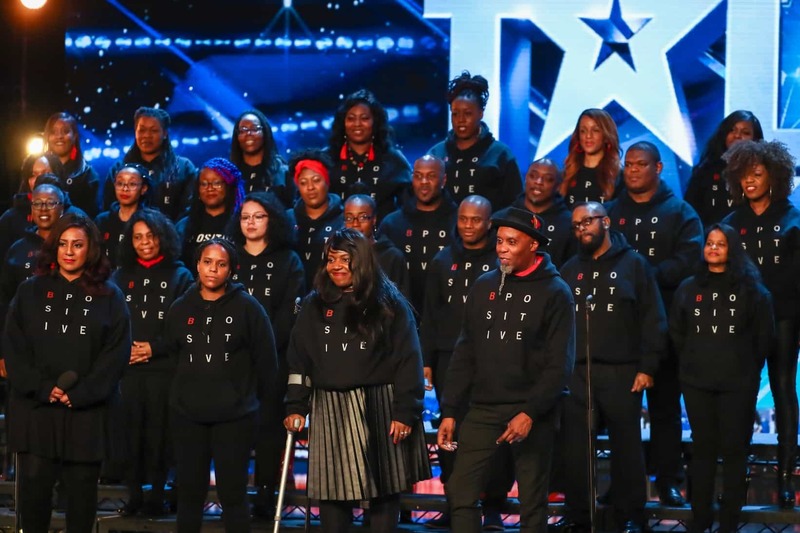 The final 40 will now perform in the Britain’s Got Talent live semi-finals in the hope of winning the public vote and securing an all-important place in the live grand final and the chance to win a life changing £250,000 and a coveted spot at the Royal Variety Performance. Here’s a roundup of this year’s semi-finalists, who were revealed on Saturday’s (May 26) final audition show. 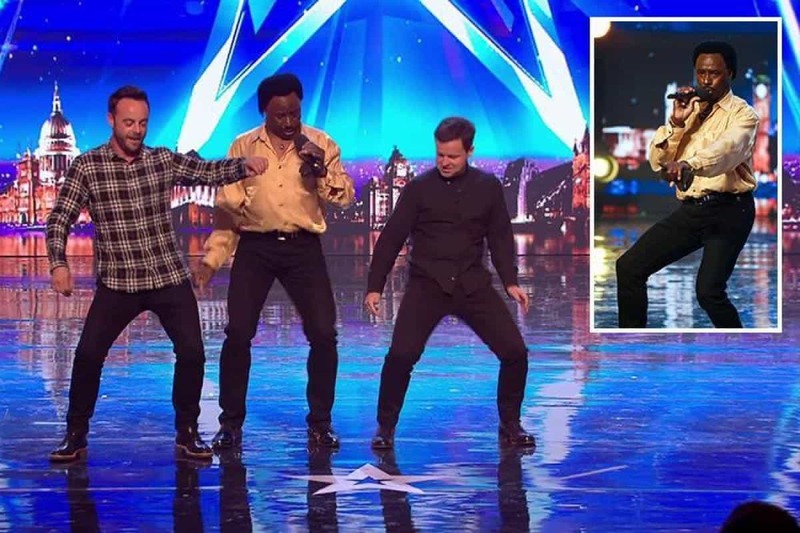 DONCHEZ DACRES [David Walliams’ Golden Buzzer]: 60-year-old AA man Donchez lives in Wolverhampton, regularly performing to customers who have broken down in their vehicles. Donchez got the judges up dancing with his original hit the ‘Wiggle Wine’. GRUFFYDD WYN [Amanda Holden’s Golden Buzzer]: Gruffydd is a 22-year-old, Theatre Assistant, from Amlwch on the Isle-of-Anglesey in North Wales. 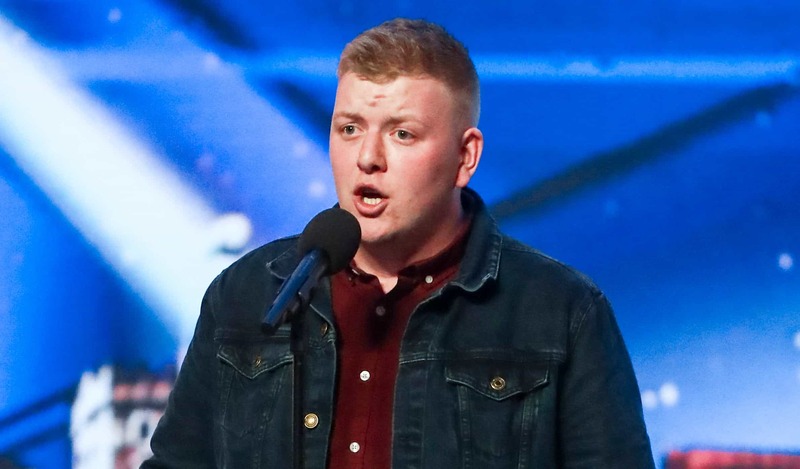 Gruff is a rugby player, and hasn’t had the confidence to audition for BGT previously, but after receiving the support of his friends, family and teammates he is determined to win the show. 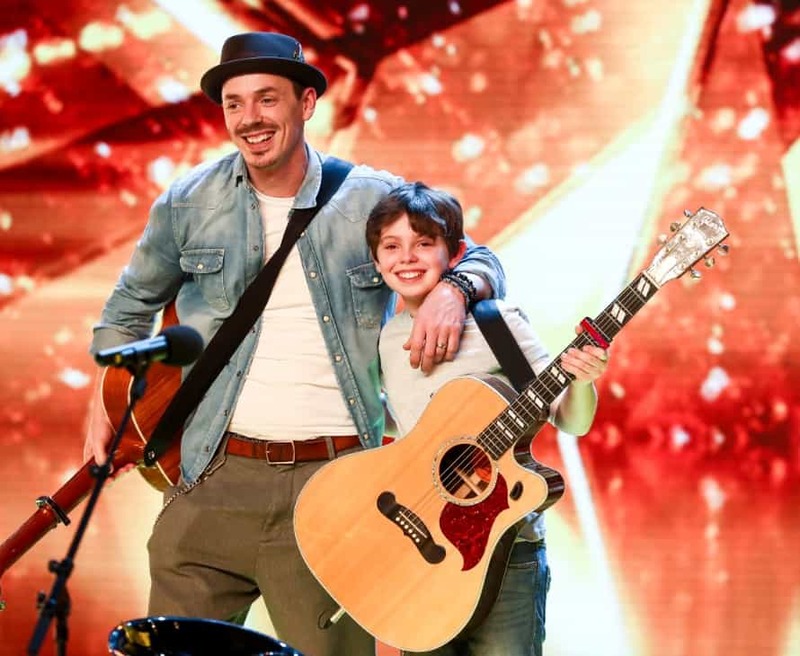 JACK AND TIM [Simon Cowell’s Golden Buzzer]: 43-year-old Dad, Tim and 12-year-old son Jack, are from Norwich and moved BGT audiences with their original song, ‘Lucky Ones’, about their father and son bond. 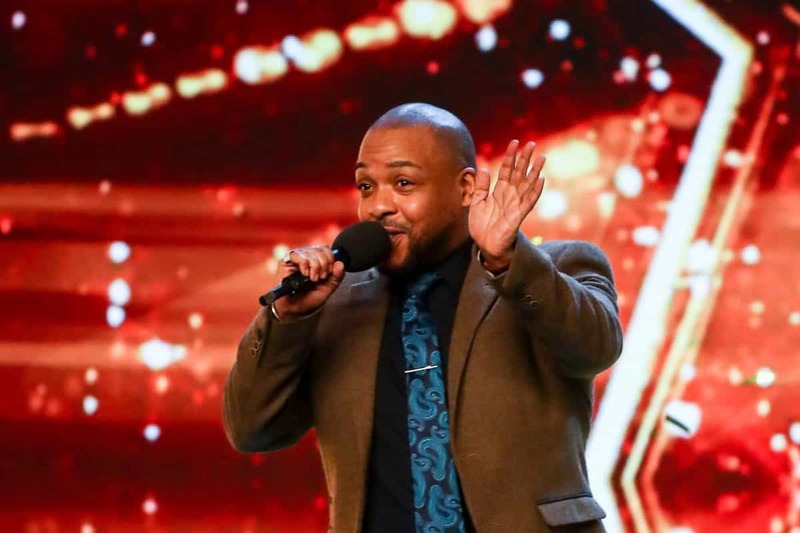 LIFFORD SHILLINGFORD [Alesha Dixon’s Golden Buzzer]: Former hit maker Lifford may be known for his early 2000’s music, but after feeling overwhelmed by the pressure Lifford stepped back from the spotlight. 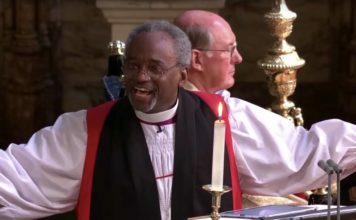 Ready to pursue his love of music again, Lifford took to the stage to perform ‘A Change is Gonna Come’ by Sam Cooke. MARC SPELMANN [Ant and Dec’s Golden Buzzer]: Marc, 46, lives with his wife, Tessa, and daughter Isabella. 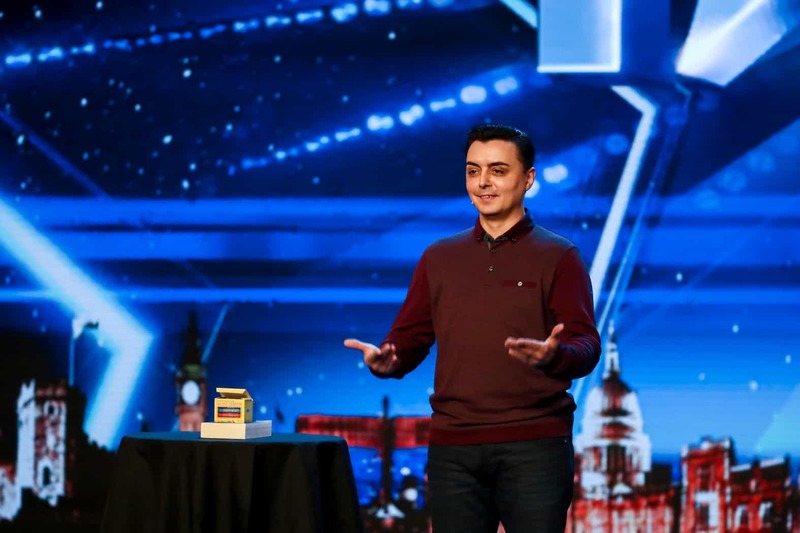 Marc wowed the judges and Ant and Dec with his incredible and powerful mind reading act, which featured his daughter. Acrocadabra are a group made up of 33 dance school students. Aleksandar is a 23-year-old singer from Stevenage. In his day job, Aleksander works for the local council but singing is his main passion especially jazz and swing. 16-year-old Amy lives in Malta with her Dad, Mum and younger brother. Half English and half Maltese, she has family roots in Manchester. Amy has only been singing a few years, and was extremely nervous walking onto the BGT stage. 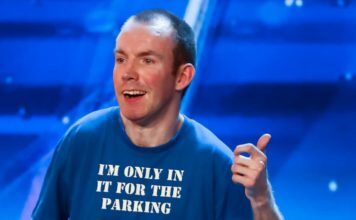 32-year-old Andrew from Lancashire has only been performing impressions on stage for two years, and turned professional in the last six months. The B Positive Choir is the choir of NHS Blood and Transplant who want to inspire more people to register as new blood donors. The choir is made up of 48 members from all over the UK whose lives are affected by the lifesaving power of blood including blood donors and blood recipients, people who have blood related medical conditions such as sickle cell, their families, friends and people who work with blood. Baba Yega are an alien dance group made up of five mysterious dancers from the planet Babalta. Bring It North is a group of four young lads from around the North of England. They all came together as they wanted to be part of a group and represent what the North has to offer. Cali Swing are a group of 10 dancers aged 9-14 years old, living in London. All the children in the group are from a Latin American background and want to show off their culture on the BGT stage. 10-year-old Calum lives with his Mum, Dad and younger brother Ollie. He started singing at six years old after joining a school choir and hasn’t stopped since. Dennis DeMille (51) and Marvin Muoneke (22) are best friends living in Weston-Super-Mare. Describing themselves as jazz brothers from another mother, they are a modern-day rat pack and their goal is to make a name for themselves. DMU Gospel Choir are a group from Leicester who have been together since 2003. The choir started when they were all at Emmanuel Apostolic Church and many of the members have jobs within the church. DVJ is a dance group made up of 10 schoolchildren, aged 10-18 years old. 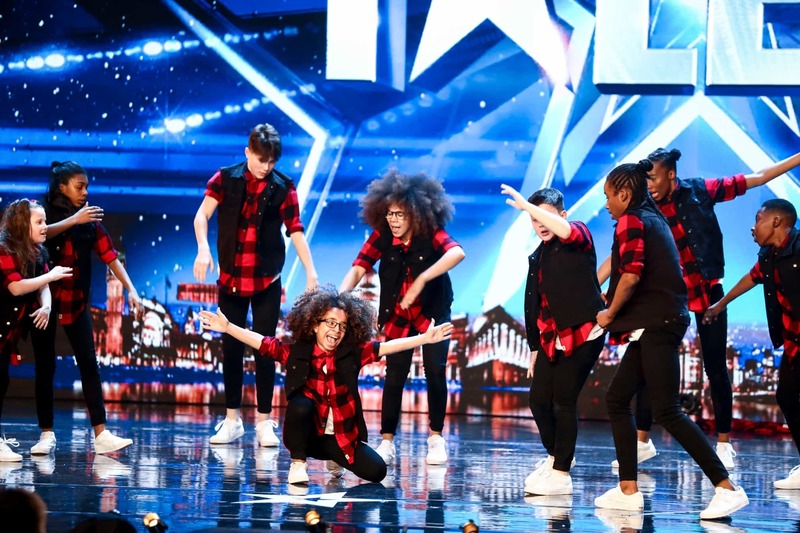 The dance group have been guided by Diversity’s Ashley Banjo but DVJ now want to step out in their own right as dancers and not be compared to their predecessors. Ellie (34) and Jeki (29) are a married couple who met seven years ago. They are both magicians from South Korea and perform an impressive quick-change act. Father Ray Kelly (64) is a Catholic Priest in his parish of Oldcastle, Co. Meath in Ireland. Father Ray became a priest in 1982 and says that being able to sing during daily mass is one of the joys of being a Priest. Futunity UK are a street dance crew of 27 members, aged from eight years old to 24 years old. They are all members of a dance academy, which was founded in 2004. Quoc Co (33) and Quoc Nghiep (29) are brothers from Ho Chi Minh City in Vietnam. The brothers have followed in their Father and Grandfather’s footsteps to became circus performers, but they are the first members in their family to perform all over the world. Lexie (10) and Christopher (10) are a Latin ballroom duo from Manchester and Sheffield. The pair met through an online site for dancers where their parents matched them together to become dance partners. 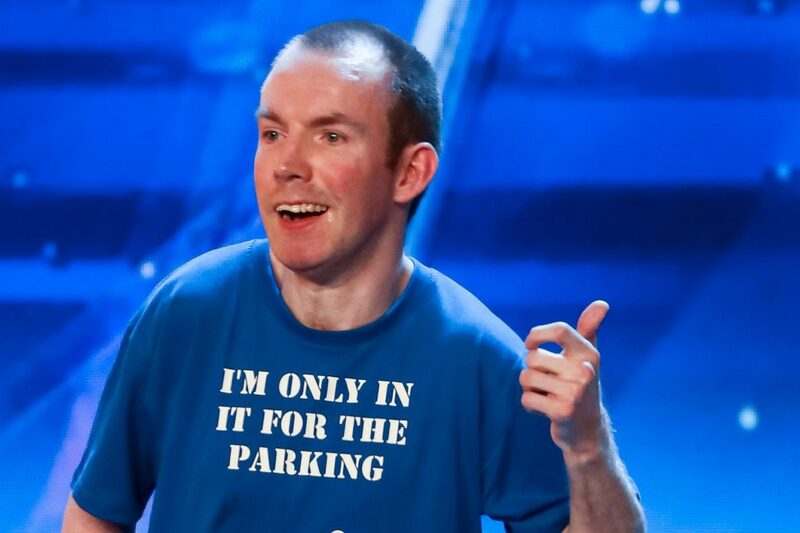 37-year-old Lee Ridley lives in Newcastle, were he works as a full-time stand-up comedian. Lee has cerebral palsy, and after falling ill as a baby was left unable to speak. He uses a ‘text-to-speech’ app on his iPad to communicate. The spellbinding Magus Utopia consists of the two creators of the ensemble, Marcel and his partner Aquila, along with several assisting dancers. 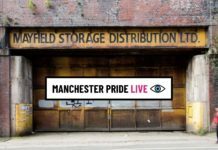 They are a magical illusion act who made up of entertainers and illusionists who work together to deliver a performance with captivating storytelling and jaw dropping illusions. Maddox (31) from Buckingham is a session musician but has focused on teaching himself magic and sleight of hand over the past 10 years whilst touring with bands. On BGT Maddox performed magic tricks using a Rubik’s cubes, bringing Amanda on stage to solve her own behind her back. Mandy is a full time magician from London. She first realised she was interested in magic when her parents bought magic sets for her brother at Christmas – she would always steal them and use them more than him. Marty Putz is a 55-year-old visual comedian from Canada, living in Los Angeles. Marty was inspired by his Grandad who was an Inventor. Matt Johnson is a 43-year-old magician and escapologist living in Vancouver, Canada, but born and raised in Rotherham. On the show Matt performs an escapology trick whilst he’s locked and chained inside a tank filled with water. Micky is a 36-year-old Primary Teacher, who lives with his girlfriend and daughter in Leeds. Micky started playing the guitar and writing songs at 15-years-old, but at 29 he decided that his dream of being a musician wasn’t going to happen and decided to do a PGCE and become a Teacher. Mr Uekusa, 30, has been entertaining people with his table cloth tricks for three years but has been a comedian for 10 years. Comedian Nick Page (47) has been performing his unique storytelling comedy for 15 years. Nick initially got into comedy for a bet whilst on a stag do and after going down a storm, decided to make it a profession. Noel is a 51-year-old comedian from Wales. He has been developing his comedy act for the past 20 years with varying degrees of success but hopes BGT will help him reach new audiences. Olena (31) from Moscow, is a professional musician and throat singer. For the past three years, Olena has been making money from traveling the world and performing with her jaw harp (Kromus) and tambourine. Rise Unbroken are a group of 11 dancers aged between 10 – 24 years old. 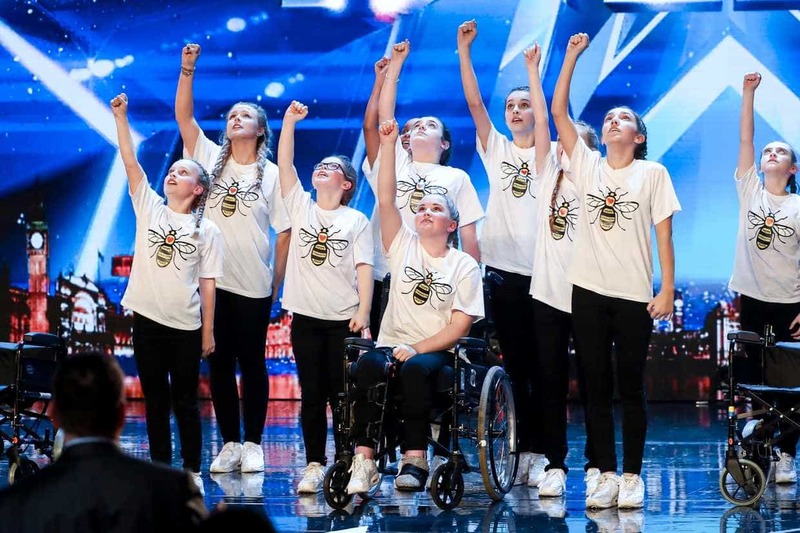 They performed a dance with wheelchairs to help one of their members, Hollie Booth, get back into dancing following injuries she sustained during the Manchester terror attack in 2017. Robert, 41, from West Sussex, is a comedian and works part-time as a music teacher at a primary school, as well as other ad-hoc jobs such as a ‘Christmas Elf’ wrapping gifts over the holidays. Robert is dyslexic and has Asperger’s Syndrome and finds his passion for both music and comedy an outlet for his creativity and energy. Ronan is a 33-year-old Tesco HR worker from Bedfordshire and lives with his wife and son. Before working in Tesco, he pursued his love of music by studying it at Oxford University until 2005. Sarah Llewellyn is a performer from Arizona, she currently lives with her parents and brother, but has also lived in Los Angeles and Portland, teaching as a Yoga instructor. Sarah’s unique act performed on BGT merges together three of her loves – singing, contortion and cake. Sascha, 29, is a professional Rola Bola act who specialised in his act for 16 years. Sasha’s act involved stacking items on the rola bola and balancing several feet in the air. Shameer Rayes is a University student from Manchester. Dance has always been a big part of Shameer’s life and five years ago he started dancing properly, performing on the stage and at freestyle club gigs. The D-Day Darlings are a wartime themed choir of nine women aged 27-39. Katie, the leader of the group, formed the choir 10 years ago and manages them for a living, whilst the other girls have various jobs including customer service and HR. 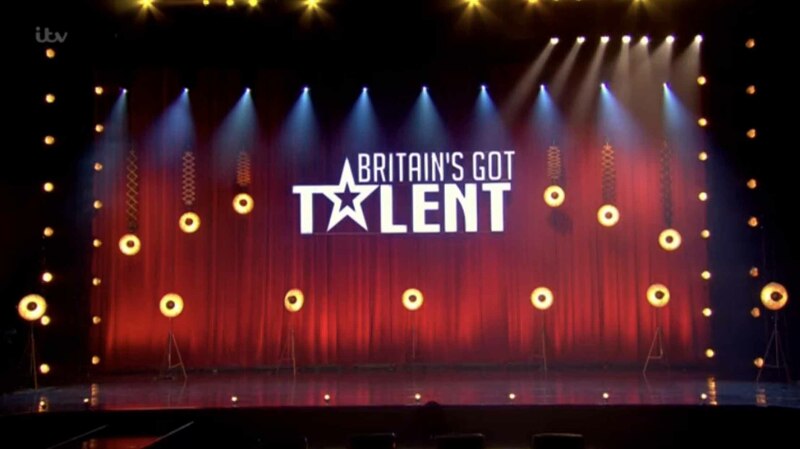 Britain’s Got Talent 2018 Live Semi-Finals will go live on Monday 28th May and will air every day that week until Friday 31st May. The live shows will start at 7.30pm every night on ITV and end at 9pm. The half-hour results show will air at 9:30pm following Coronation Street. During each semi final show, eight contestants will perform for the audience vote, with only two going through to the live final.